In its post-apocalyptic world, there are predatory toothy aliens about who hone in on human vocal patterns and pounce. The remaining survivors have to rely on sign language, gestures, or loud noises to drown out their vocalizing and not become targets (a much more interesting take is the Canadian convention-defying horror, Pontypool, where a zombie virus is transmitted by the English language and survivors are holed up in a radio station). 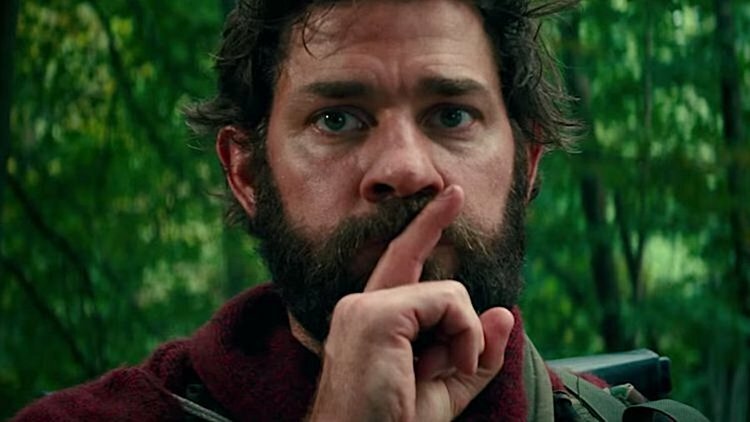 A Quiet Place employs an interesting gambit: essentially making the audience deaf to go along for the ride. Against a backdrop of pure silence, jump scares (of which there are many) are much more pronounced. Unfortunately, jump scares are garbage, the equivalent of comedians lazily dropping F-bombs for cheap laughs (Jump scares are cheap scares. A loud noise pumped into the middle of even The Sound of Music could scare an audience). 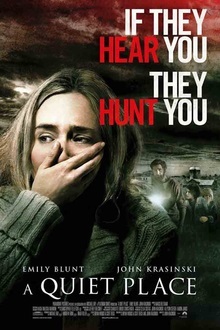 As a post-apocalyptic conceit, the premise of A Quiet Place is genius. And as an experimental exercise, it’d be a great short. At feature length, you’ll be tuning out your other senses. There’s a scene with a two-inch nail poking up through a wooden step. It’s obvious telegraphing that a pregnant Emily Blunt will step on it. That she doesn’t cry out means that filmmakers are too locked into their stunt-premise. Silent films (which A Quiet Place is in part) usually make up for it with creepy visuals a la The Cabinet of Dr. Caligari. So without any visceral visuals, what’s left is pretty tame, dull stuff. It’s true, saying something is boring isn’t the most fine-tuned criticism to levy, but for a reviewer who sat through a documentary about Helvetica font (!) and enjoyed it…maybe it could be. Par for the course, bloodless horror movies like this one are wildly overpraised and over-reviewed. Being gore-free gives them a veneer of critical respectability. Let’s hope the screenwriter wasn’t paid by the word. This entry was posted in Science fiction and tagged 2010s movies, monster movies by Really Awful Movies. Bookmark the permalink.